Motor yacht MI CHAMPION was designed by naval architect Stefani Righini and launched by Azimut yachts in 2006. The semi displacement GRP hull measures 24.3m (80ft), offering 4 en-suite cabins for up to 8 charter guests. 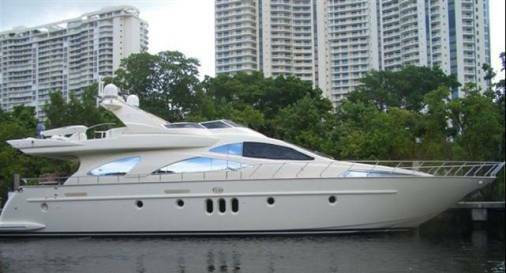 Charter yacht MI CHAMPION is available year round in Mexico. 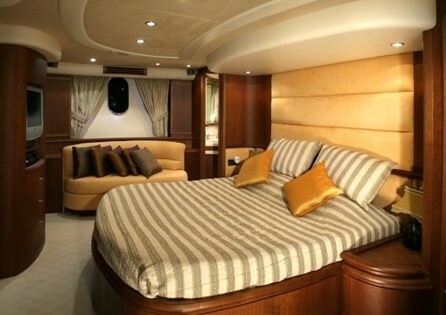 The MI CHAMPION motor yacht boasts a spacious and minimalist interior of relaxing neutral tones. Light carpets enhance the fine satin finished wood panels, ample natural light is received through the generous side windows and aft sliding glass doors. The salon features large leather sofas, coffee table and massive flat screen TV with entertainment center, ideal for indoor entertainment. Forward of the salon the formal dining area seats 8 guests at a stylish clear glass table with cream high back chairs. On deck, motor yacht MI CHAMPION has plenty of areas to enjoy the warm tropical breezes. 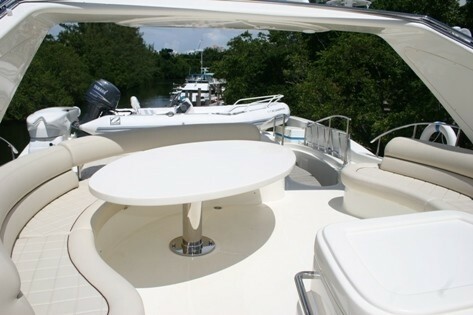 The aft deck is adjacent to the salon and provides permanent shade and an alfresco dining option. A gate and steps lead to the extended swim platform and water toys garage, including a Wave Runner. 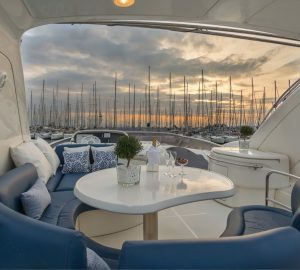 For a more intimate escape, head to the foredeck where a double sunpad awaits. Outdoor entertainment aboard the M/Y MI CHAMPION continues onto the large flybridge, complete with alfresco dining table, seating, sunning areas and BBQ. 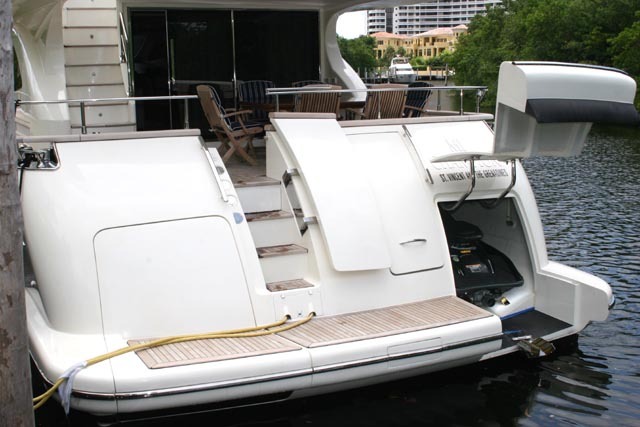 An optional fold away Bimini ensures all guests are comfortable. Motor yacht MI CHAMPION has a beam of 5.7m (19ft) and a draft of 2.1m (6.9ft), she is powered by 2 x CAT 1500HP engines capable of cruising at speeds of 20 knots and reaching top speeds of 27 knots. 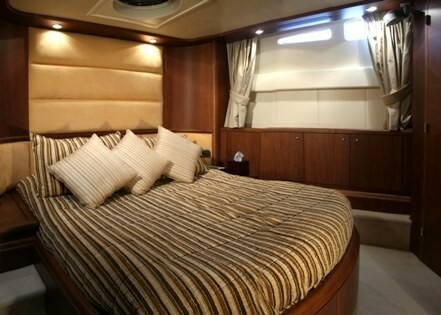 M/Y MI CHAMPION is fully air conditioned throughout. 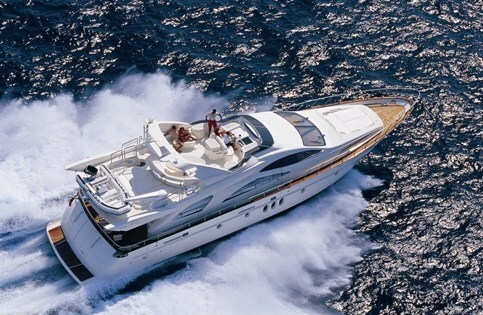 Luxury Azimut MI CHAMPION accommodates up to 8 charter guests in 4 deluxe cabins on the lower deck. The master suite is amidships and full beam of the yacht with a center lined king size bed, sofa, vanity, walk in wardrobe and en-suite facilities with his and hers marble sinks and massage shower. 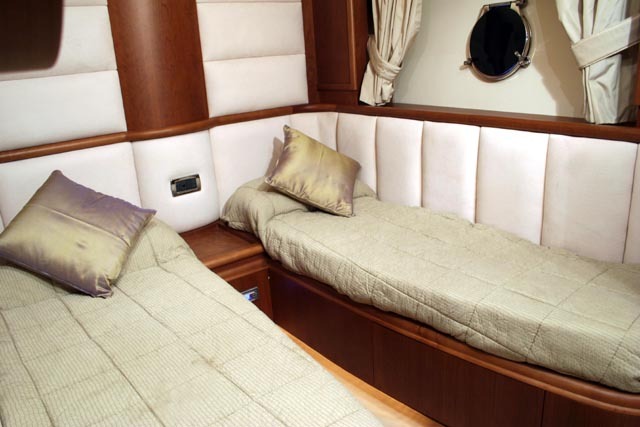 A VIP cabin is forward and full beam of the yacht with a queen size bed and en-suite facilities. A further 2 cabins offer single side by side beds, one with en-suite facilities, the other shared facilities. Each cabin boasts a neutral décor of light tones, satin finished wood panels and audio and visual entertainment.